FRANKFURT (Reuters) - Tens of millions of vehicles sold by Volkswagen AG over the past 20 years, and some current models, are vulnerable to theft because keyless entry systems can be hacked using cheap technical devices, according to European researchers. "It is conceivable that all VW Group (except for some Audi) cars manufactured in the past and partially today rely on a 'constant-key' scheme and are thus vulnerable to the attacks," the paper said. The only exception were cars built on VW's latest MQB production platform, which is used in its top selling model, the Golf VII, which the researchers found does not have the flaw. 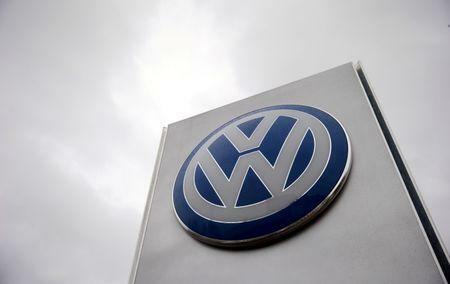 A VW spokesman said that its current Golf, Tiguan, Touran and Passat models are not at risk from the attack. In their paper, the researchers did not identify the auto parts subcontractor that makes the affected keyless systems for VW and potentially other car makers. VW declined to comment on its supplier relationships. Garcia and co-author David Oswald, also a lecturer at Birmingham University, are scheduled to present their paper at the Usenix security conference in Austin, Texas, on Friday. Attackers can use cheap and widely available tools for grabbing radio signals, according to the three researchers from the University of Birmingham in central England and a fourth who is a security consultant with Kasper & Oswald GmbH in Germany. Cars from other manufacturers may share these flaws, including some model years of the Ford Galaxy, the researchers said. “We are aware of this security gap and have incorporated this knowledge in the enhancements of existing and future systems. We no longer use the described system in any of our new cars,” Ford Europe spokesman John Gardiner said. They first disclosed their findings to VW Group in November and met the company and the subcontractor involved in February and said VW had acknowledged the vulnerabilities. The Wolfsburg-based automaker confirmed it has had a constructive exchange with the researchers and that the authors had agreed to withhold details in their report that savvy criminals could use to break into cars. In 2013, VW obtained a restraining order against a group of researchers that included Garcia to prevent publication of a paper detailing how certain anti-theft car immobilizer were vulnerable to hackers. That research was published in 2015 after the authors agreed with VW to remove a detail that would have allowed thieves to figure out how to carry out an attack. Garcia, Oswald and their co-authors also describe a second attack that could be used against Hitag2 (HT2) remote keyless entry systems used in older models of other auto makers, running on circuits produced by Dutch-American chipmaker NXP .